Cheyne Gauci is our Property Facilitator and joined our team in September 2017.. 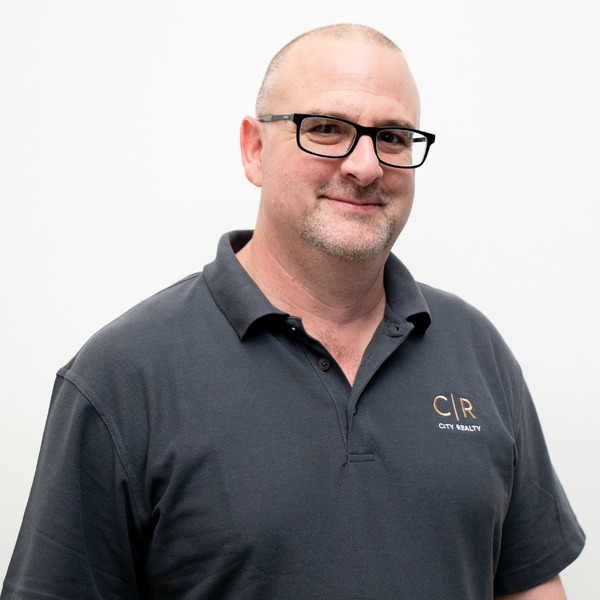 Prior to working for City Realty, Cheyne worked for building and real estate industries in Adelaide for over 20 years in service and sales roles. Cheyne is an expert in his field due to his extensive experience and knowledge of modern and past building and construction methods. He has inspected thousands of Adelaide residential homes and commercial buildings. He has carried out approximately 15,000 inspections for residential properties. Cheyne has immaculate communication skills; his role involves working with many people every day. As said by Cheyne, dealing with people in their homes requires grace and tact. Cheyne works brilliantly with others and has extraordinary interpersonal skills, which is why he is an expert in his role.